See the image above? It's no photoshop. Einstein believed that compound interest is man's greatest invention. And I love the way Wikipedia explains it - Compound interest arises when interest is added to the principal of a deposit or loan, so that, from that moment on, the interest that has been added also earns interest. 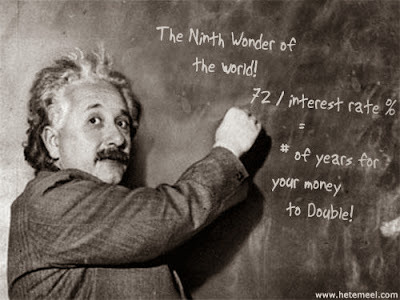 But what is so special about compound interest, that made Albert Einstein call it the 8th wonder of the world? I'm sure you remember the interest formula we all learned in primary school, that Interest (I) is equal to Principal (P) x Rate (R) x Time (T). But if you've been applying that in the real world, you are making a BIG mistake. The formula above is for Simple Interest, and the one thing that doesn't exist in the Finance world is the word - simple. The interest rates you see in the finance world are all compound interest. Your savings account interest rate is compound interest. The loan you get from a bank is at a compound interest rate. Even your share bonuses are compounded. And we all know that Albert Einstein does not exaggerate. What he said is as true as his Theory of Relativity. Compound Interest is a powerful tool. It will work wonders for you if you understand it and can be easily used against you if you don't understand it. But finance guys are very smart; they are not like engineers and scientists who will kill themselves over 99.999% accuracy. They only want a very reliable estimate; after all, finance is more concerned with predicting the future than explaining the past like scientists or building the present like engineers. The variables in calculating the future are uncountable; no formula can be applied. The best a finance pro can do is to get an estimate, find reliable patterns and work with an end in mind (Financial Modelling). They were able to come up with a simple alternative to calculating compound interest, simpler than the one for simple interest. Here's how they came about it. They did a lot of analysis and pattern searching, and found out that at an interest rate of 72% per year your money will double every year. Sounds crazy, right? Welcome to the world of finance! This is where magic is backed with formulas and theories. And since you can't argue with results, you are better off just playing along. But here is the less crazy version: at the rate of 1% per year, your money will double every 72 years. And here are the mathematical calculations backing it, The Rule of 72. Here is the practical result: to know the number of years it will take your money to double at a given interest rate, just divide 72 by that interest rate. If your savings account interest rate is 3%, 72/3 = 24. It will take 24 years for your N1,000,000 to become N2,000,0000. And if the loan you recently got is at an interest rate of 24%, the N1,000,000 you borrowed will become a N2,000,000 debt in 3 years. So how do you use compound interest to your benefit? Don't save money you won't spend in the next 6 months in a bank account. The bank will make money of you and still debit you for monthly bank charges (GTB charges me 10 naira per SMS alert, with my bulk SMS service that's the price for 7 SMS's). Don't borrow to finance a business that is not yet generating profit. It's like digging your own grave. Don't be your friends and family's reserve account, the guy who borrows them money on short notice and for years without interest. It will hurt all concerned in the long run. (I will give a very detailed explanation of how in a subsequent post). It's like a government bail-out, it shouldn't be frequent. Don't involve in any scheme that promises a rate of return above that of FGN bonds. The first principle of finance that I skipped in my Finance 101 post is the Law of One Price. There is no true arbitrage (for long). If a bag of rice in Abeokuta is half the price in Oshodi, everyone (especially the rice sellers in Oshodi) will buyout all the rice in Abeokuta, and in a very short time, the price difference will be wiped out. It's the reality: if it's too good to be true, it will soon be untrue. Finally, use your head! (sorry for sounding too direct, but that's what I tell myself everyday). Every day, I look for business ideas and opportunities. 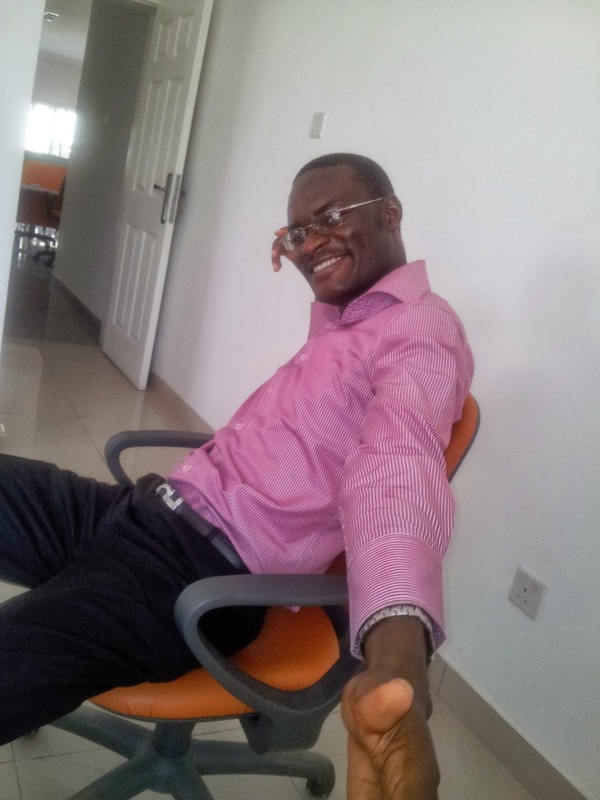 I observe the street hawkers, the danfo drivers, the area boys, the omo ibo on my street... The real money is not in discovering the cure for HIV/AIDS; it's in providing a service everyone will need. There are over 14 million people in Lagos. That's more than all the people in Equitorial Guinea, Togo and Sierra Leone, combined. Businesses don't fail in Lagos, they only struggle.